Students learn the parts of rockweed (a common seaweed) and the functions of the parts. a beach with rockweed, or a bucket of collected rockweed - washed up pieces soften up if soaked in seawater overnight; check that the bladders still float though. Students each find a piece of rockweed. 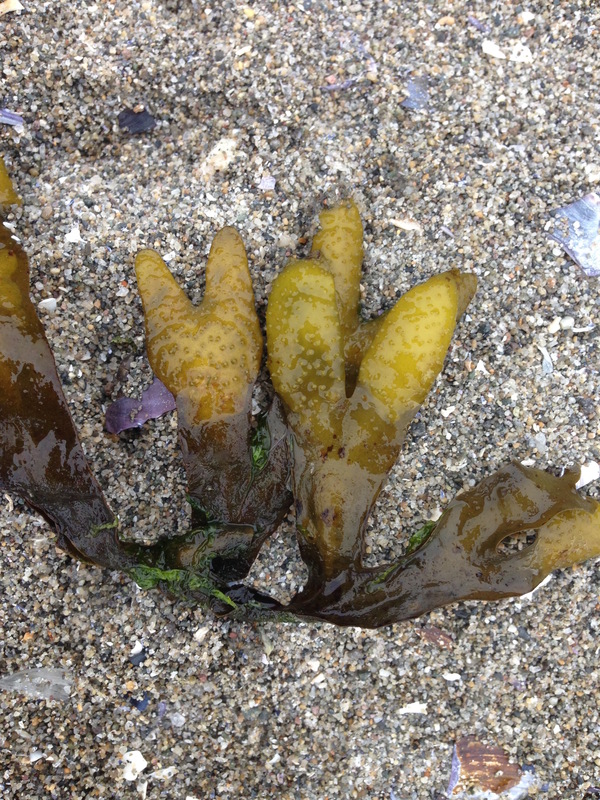 Discuss what it is, where it grows, and that it is an alga (not a plant). Students look closely at the parts of the rockweed, draw it in their notebooks (draw around a small piece), then label the parts: holdfast, bladders and blades. 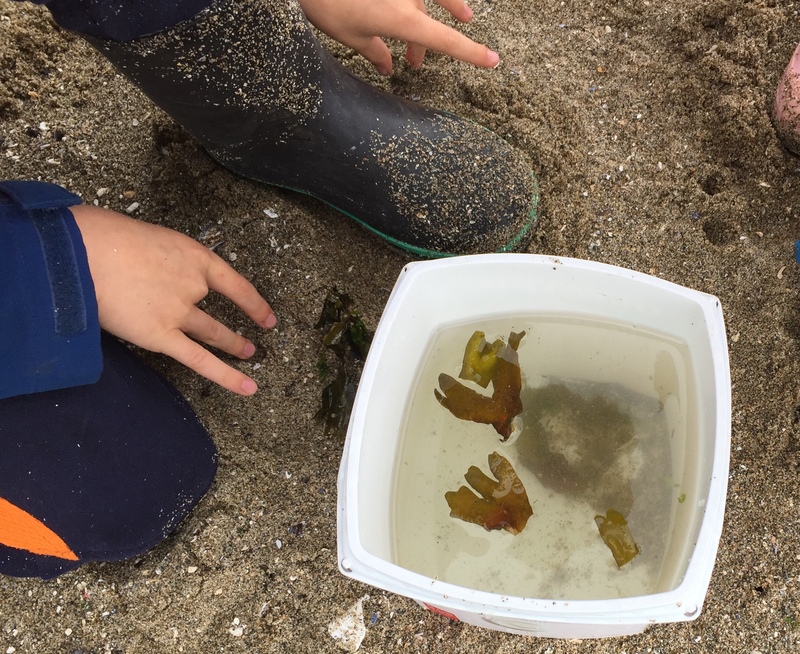 Optional with older students: predict of what the parts of the seaweed might be for (younger students just guess, and then feel bad if they are "wrong" distracting from the activity). 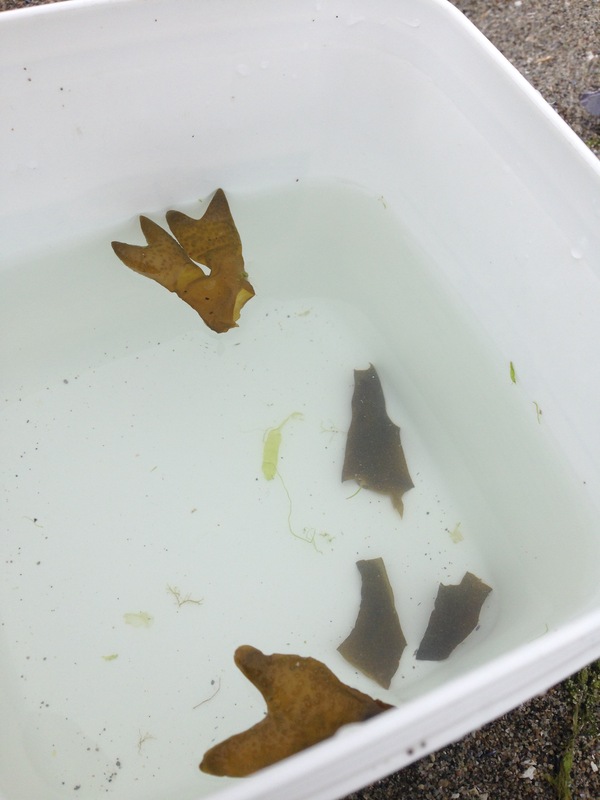 Test the function of each part of the seaweed by tearing the rockweed into pieces: pieces of the blade or a bladder on its own, then see if each float in a tray of water. The blades should sink, and the bladders float (unless the air has been popped out of them). Do many pieces until a pattern is seen. Bladders: they keep the tips of the seaweed floating up in the water, to maximally expose all parts of the seaweed to sunlight. The bladders can be torn open to find the gas bubbles among the jelly that make it float. 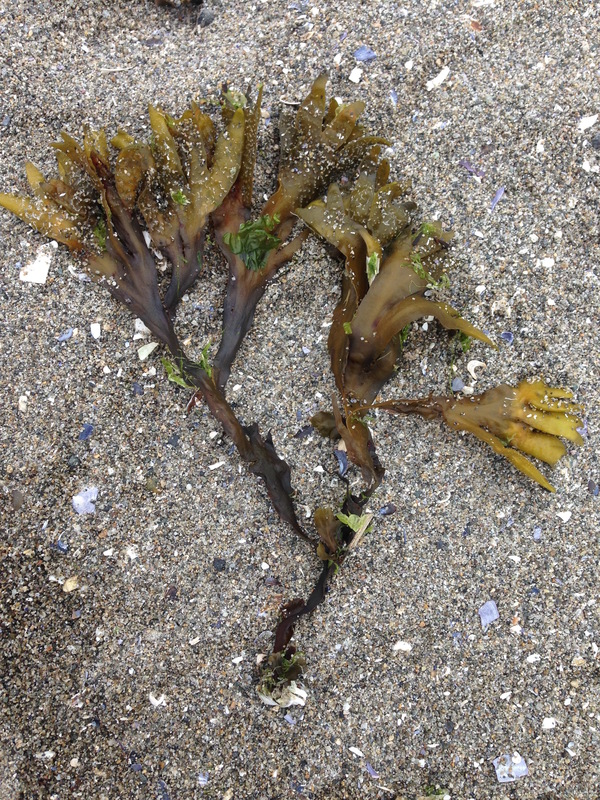 Holdfast: it keeps the seaweed anchored to a rock, so that it is not washed ashore. Blades: wide to catch sunlight for photosynthesis. 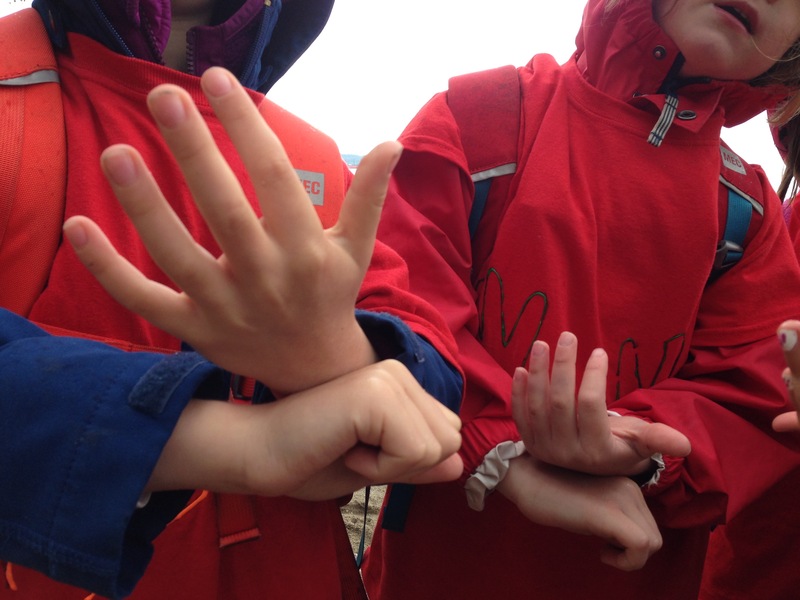 Younger students can use their hands to show how rockweed grows: a balled fist is a rock, and use the other hand on top with the fingers ("blades") spreading upwards; the fingernails represent the "bladders". Beach hoppers live under dried seaweed, and can be used for further discussion if there is time (information and images of beach hoppers, 6th image down).